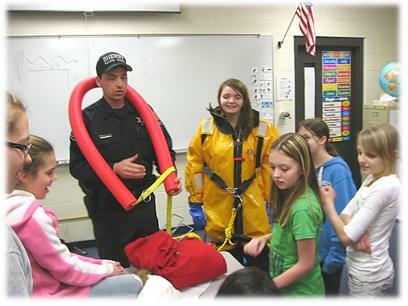 The Macomb County Sheriff's Marine Safety Officers are responsible for aiding in educating the public in regards to marine safety laws, as well as, Boaters Safety Classes. 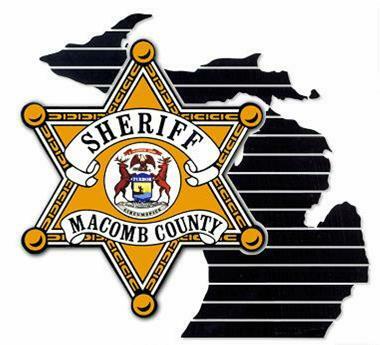 Many MSO's are certified through the Michigan Department of Natural Resources as Boaters Safety Instructors and can be found throughout Macomb County instructing this course to the public throughout the year. We have also provided links to many sites that are beneficial in educating you and your family. Gaining knowledge helps to prepare yourself and the ability to provide aid if the need ever arises. Simply click on the links provided to begin. The Anchor Bay Yachting Association (ABYA) is a 501(c)3 non-profit organization founded in 1967. Our infrastructure is primarily located in the South East corner of the Great State of Michigan, in the Anchor Bay Region of Lake St. Clair, between Lake Huron and Lake Erie. Contact the ABYA to obtain a booklet regarding updated Safety Statutes and Administrative Laws. The booklet also contains local ordinances of St. Clair, Macomb and Wayne Counties that have been adopted to enhance safer boating operations. Each year hundreds of lives are lost... thousands are injured... and millions of dollars of property damage occurs because of preventable recreational boating accidents on U.S. waterways. Too often pleasure outings turn tragic. You — as a boat operator, passenger, or concerned individual — can make a difference. Thanks to grant funding from the Sport Fish Restoration and Boating Trust Fund, administered by the U.S. Coast Guard, the Sea Tow Foundation has distributed close to 10,000 life jackets nationwide to help make recreational boaters safer on the water. "The BoatU.S. Foundation is a national 501 (c)(3) nonprofit organization dedicated to promoting safe and environmentally sensitive boating. The Foundation's goal is to be the leader in boating safety and environmental education and outreach, with the purpose of reducing accidents and fatalities, increasing stewardship of our waterways, and keeping boating a safe, accessible, and enjoyable pastime." 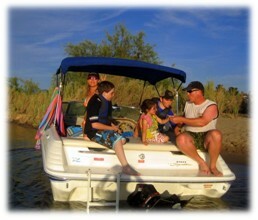 The role of NSBC is to promote safe and enjoyable boating through education, training and shared resources. Within the next 10 years grow the National Safe Boating Council (NSBC) into the premier coalition to increase boating safety on our nation’s waterways. 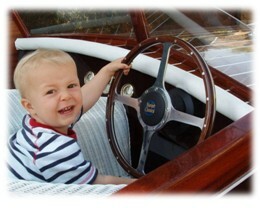 An excellant site aimed speciffically towards children and boating safety. Lots of interactive games and educational material to be enjoyed by the whole family. Quiz easily formatted that gets graded upon completion. Another source offfering a wealth of information towards educating children about the importance of boating and water related activities. Be sure to include the entire family while reviewing these sites.